The Virtual JBoss User Group had another successful session on November 10th. This time it was Martyn Taylor talking about Messaging for the Internet of Things (IoT). He is a senior software engineer at Red Hat and has over 7 years’ experience working on cloud, middleware and messaging software. Martyn currently works on the Apache ActiveMQ suite of projects. The presentation gives you a brief intro into IoT in general and explains why it brings all kinds of challenges to scaling for messaging systems. Those can be addressed in various ways and he further on gave an overview about the various IoT relevant protocols implemented in Apache ActiceMQ Artemis. He finishes his presentation with messaging patterns for horizontal scaling. Watch the complete session on vjbug.org or directly embedded here. vJBUG – Learn About JBoss Technology Online! 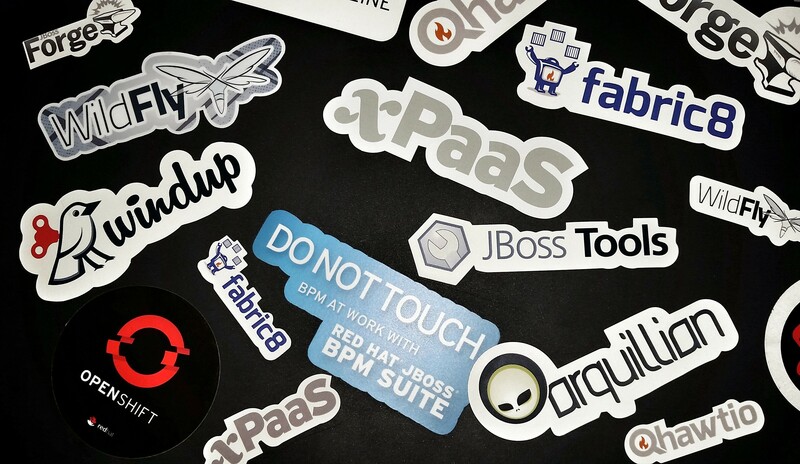 Have you heard about your local JBoss User Group (JBUG)? A JBUG is a group of people who share a common interest in JBoss technologies. They are organized and supported by the community and meet on a regular basis to discuss new technologies, development methodologies, interesting use cases, and other technical topics. The common goal is to provide education, help, and social events for the community and to promote open source. You can find a list of 38 JBUGs around the world, in case you want to attend a local event. 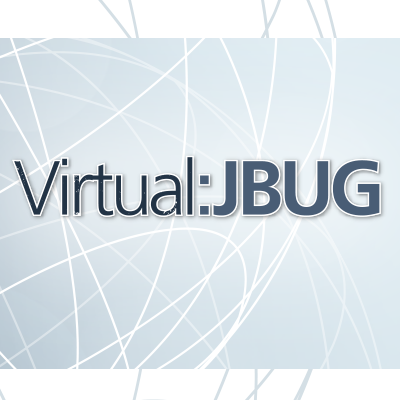 However, not everyone has access to a local JBUG, so we introduced the Virtual JBoss User Group! Today is a very special day for me. I am pleased to announce that my thoughts around Enterprise Java development made it into a report and has been published by O’Reilly. 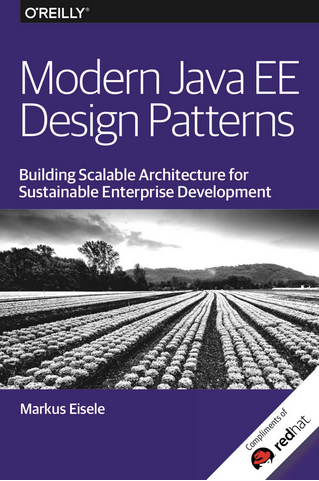 The “Modern Java EE Design Patterns” mini-book is available for download as of today here. I am covering a lot of ground in this, beginning from the overall Enterprise challenges and changes over the last couple of years all the way down to microservices pattern. With plenty of further reading about relevant technologies and team considerations, you will find resources, ideas, and best practices. And I am very proud to include a foreword by Mark Little (VP of Red Hat Engineering). A little late for a March review. But March was late in general. 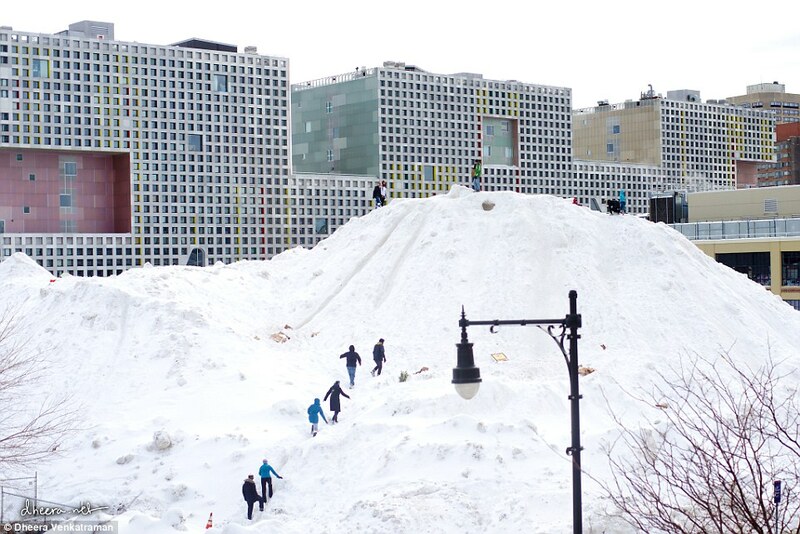 The weather didn’t really pick up and we had some scheduling issues on the JBoss weekly editorial. Things like that happen, I guess. Time for me to finally catch up with all the news and releases in March. In the middle of April. My apologies. Thomas Qvarnström (@tqvarnst) is the JBoss Technology Evangelist for Applications Server and Data Grid products at Red Hat. He is responsible for various outbound technical aspects of promoting JBoss Enterprise Middleware, He has been working within software development since 1998 for many different enterprises in different roles like developer, architect, CTO etc. And you have the great opportunity to learn all about Java EE applications in the cloud on OpenShift from him and Erik Jacobs (OpenShift principal technical marketing manager). We just started this year and a lot has happened already. 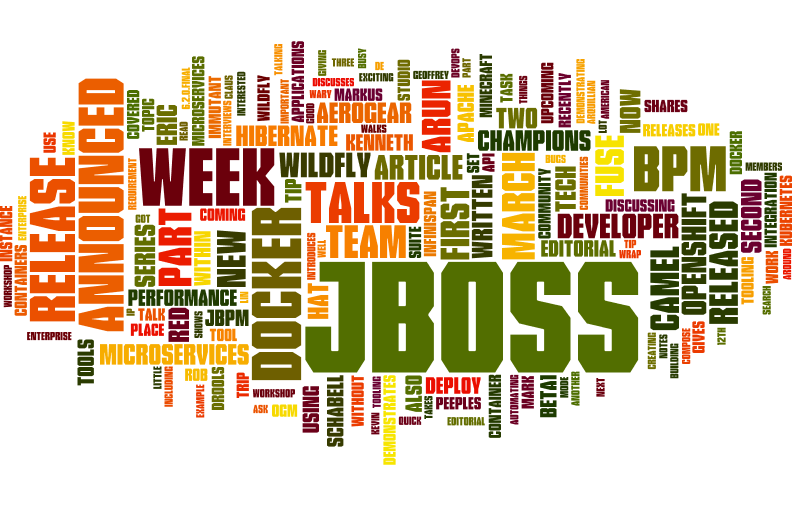 From now on, I will summarize the monthly happenings in JBoss to catch in one place. First thing a new year is all about is looking back. There’s been plenty of recaps about 2014 for example by Eric Schabell who highlighted the most important events for JBoss Integration & BPM. Did you know, that there is a book called “OpenShift Primer” which got completely revised and helps you getting kick-started with all kinds of JBoss technologies on OpenShift. 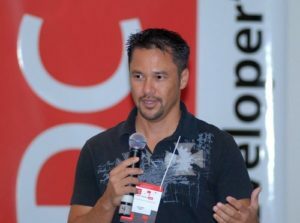 This is a short heads-up about an upcoming, free webinar which discusses the influence of the growing demands for hyper-connected, internet-driven economy where users expect speedy delivery of new features, highly engaging personalized user experiences, and smooth, streamlined performance on today’s application architecture and design.